In Bangladesh the commitment with the Two Nations Theory and sentiments against India has been made unforgivable crimes punishable only with death. Many Bangladeshi elder leaders who at the time of fall Dhaka in 1971 remained loyal to Pakistan i.e. 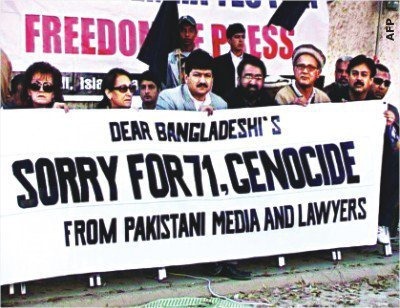 THEIR MOTHERLAND (of that time), rejected any power or conspiracy who wanted to disintegrate Pakistan and worked side by side the saviours fighting to stop disintegration of Pakistan, were murdered by Bangladeshi court. Out of these leaders who have been hanged one was Mutti-ur-Rehman, Ameer Jamaat-i-Islami Bangladesh who was hanged for his love with Pakistan (before fall of Dhaka). The shameful fact is that after Bangladesh expressed her determination to hang Mutti-ur-Rehman Pakistan expressed just concern over it while Bangladesh rejected this weak concern of Pakistan by declaring it as interference in the internal affairs of Bangladesh. Now Indian controlled Bangladeshi govt. is preparing to drag Pakistan army in trials for the fabricated genocide of Bengalis. The double standards of the West are that if Pakistan executes terrorists involved in murders of innocents European Union and Western countries take it as attack to their prestige and threat to end trade concessions to Pakistan. 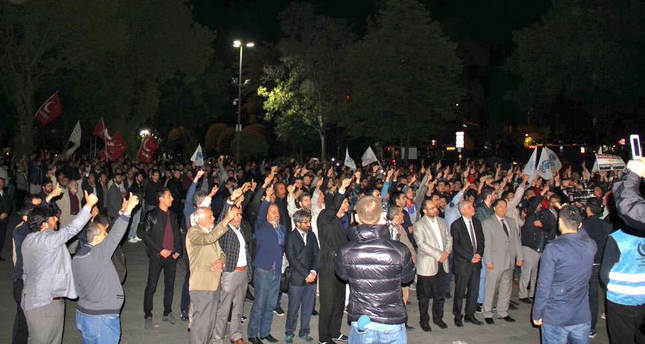 So-called liberal and developed elements including a good number of intellectuals as well along with the NGO’s running with the foreign investment also express their concerns over execution of the terrorrists. But all these Western countries, so-called liberal elements and foreign funded NGO’s remain criminally silent over the hangings of elderly Bangladeshi citizens for their love with Pakistan before fall of Dhaka. Even these Western countries threatening Pakistan to end trade concessions do not speak a word over judicial killings by Bangladesh terming these unjust murders by Haseena Wajid as Internal Matter of Bangladesh. This should be also kept in mind that if Haseena Wajid’s target of judicial killings was limited only to Islamists or people related with Jamaat Islami than Bangladesh would have hanged only those people related with Jamaat Islami but the people who have been hanged by Haseena Wajid’s Judicial Murders Commission include politicians that held important ministries during Khalida Zia’s reign, Civil Bureaucrates, Military Officers and Chiefs of the Secret Agencies. The reports from the Bangladesh are that Haseena Wajid had decided to judicially murder all those officials of Bangladesh Civil and Military Establishment officials who were against the policy of Haseena Wajid and Awami League’s policy to provide access to India to Assam via Western Bengal, Dhaka and Sylhet, by declaring them as facilitators of Pakistan and ISI. In 2012, Haseena Wajid signed the deal with India to give land access to India to those remotely located seven states for which India have been begging since 1947. 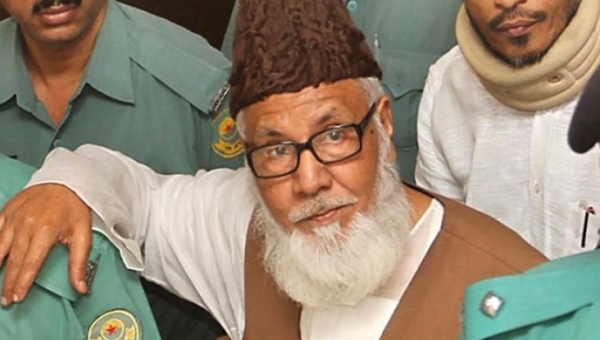 Even father of Haseena Wajid, Sheikh Mujeeb was not ready to give this access to India despite of all the Indian help given to him for disintegration of Pakistan because he knew that in this way Bangladesh would practically become enslaved to India. Before coming into power in 2008, Haseena Wajid twice came into power however, in 2008, she exploited anti-Pakistan slogans and hatred against Pakistan for her electoral campaign. Her electoral campaign included the fabricated stories of attrocities committed by Pakistan army in 1971 or before. In her election campaign she promised that after coming into power she would establish an International Crimes Tribunal in order to punish those involved in the genocide of Bengalis and gang rapes of Bengali women especially Pakistani soldiers and their supporters within Bangladesh. Although Haseena Wajid succeeded in securing two third majority but supporters of Haseena Wajid were of the view that the whole campaign full of hatred was just limited to the elections. As soon as Haseena Wajid came into power she established a “The War Fact Finding Committee” to make a list of the anti-Bangladesh people. This Committee prepared a list of 1600 Bengalis including famous leaders of Jamaat Islami Bangladesh, Khalida Zia, politicians from her party, Bangladeshi Army officers, Civil Bureaucrates, and 200 soldiers from Pakistan army inlcluding one Lt. General, 5 Major Generals, 29 Brigadiers, 5 Colonels, 39 Lt. Colonels, 80 Majors, 49 Captains, 3 officers of Pak Navy and 3 from Pakistan Air Force. When the Committee presented the name of the persons for judicial murders, it was decided that Pakistani personnel would be dealt in the end; the top priority was given to the removal of Khalida Zia, her party members, Jamaat Islami, Civil Bureaucracy, officials from Bangladesh army and agencies who were against Haseena Wajid during the govt. of Khalida Zia under the allegations of supporting separatists from India and providing them weapons. The nine members of Jamaat Islami were also selected to be murdered through the judicial commission. On 30 January 2014, the International War Crimes Tribunal sentenced Lateef U Zaman ex-Interior Minister belonging to Bangladesh National Party, Major General Chauhdary Razaqal Haidar ex Military Intelligence Chief, Chief of National Security Agency Brig Abdul Rehman along with 14 others. They appealed to Bangladeshi Supreme Court which was rejected as well. After rejection of the appeals, Haseena Wajid called a special gathering at Chittagong on 30 January 2014 in which it was decided in the light of the decision of International Crimes Tribunal (Bangladesh) to include officers of ISI and Pakistan army in the trial as well because in the decision of the court, officers of ISI and Pak army were declared as prime criminals of the case. In this meeting Haseena Wajid declared that all the preparations to start trial against Pakistanis have been completed however, first of all she would like to murder the persons in the list present within Bangladesh. Despite of being aware of the whole situation if our govt. thinks in contrast to the Turkeys reaction that judicial murders in the Bangladesh are the internal matter of Bangladesh than there is something black at the bottom. Especially in the way Indian Prime Minister Modi proudly confessed the role played by India in Fall of Dhaka, Pakistani protested over it and declared to take this matter into International Court and UNO but nothing was done practically.